What many will see as conclusive evidence that Neanderthals were not the dimwits of popular imagination has been published in the journal Science. Researchers investigated three Spanish sites with cave paintings and an archaeological record of human occupation going back to Neanderthal times: La Pasiega in Cantabria, Maltravieso in Extremadura, and Ardales in Andalucía. Although both Neanderthals and modern humans had occupied the caves over the millennia, it has long been accepted that the artwork was solely produced by the latter. La Pasiega is part of the Monte Castillo cave art complex, a World Heritage Site that also includes the caves of El Castillo, Las Chimeneas, and Las Monedas. These caves have been occupied by humans throughout the past 100,000 years. The La Pasiega artwork comprises mainly red and black paintings, including groups of animals, linear and club-shaped signs, dots, and possible anthropomorphic figures. Maltravieso has been sporadically used by humans over the past 180,000 years; it contains red hand stencils, geometric designs, and painted and engraved figures. Ardales was occupied during the Middle and Upper Palaeolithic. There are over one thousand paintings and engravings, including hand stencils and prints; numerous dots, discs, lines, and other geometric shapes; and figurative representations of animals, including horses, deer, and birds. Uranium series dating was used to obtain dates for calcite crusts overlaying cave paintings, the idea being that dating the crusts would give the minimum age of the paintings. A red ladder-like abstract painting at La Pasiega was found to be 64,800 years old. Animals and other symbols accompanied the ladder, but these have not been dated and could have been later additions. A red hand stencil at Maltravieso was 66,700 years old; and there were repeated episodes of painting at Ardales going back to 65,500 years ago. In all three cases, the artwork precedes the earliest evidence for modern humans in Europe by almost twenty thousand years. The authors of the report claim that the long-running debate over Neanderthal symbolic behaviour is at an end. However, questions remain. The ‘ladder’ is not the earliest example of abstract art made by archaic humans: Homo erectus was making abstract patterns 500,000 years ago. It is broadly contemporary with abstract patterns engraved on ochre by modern humans at Blombos Cave in South Africa; but the earliest-known figurative art is only around 35,000 years old. Some have argued that the ability to produce abstract patterns does not necessarily imply behavioural modernity. It should also be noted that Neanderthals are not directly associated with either the Bruniquel Cave complex or any of the Spanish cave paintings. The link is solely based on the assumption that modern humans were not in Europe until 46,000 years ago. The debate could only be conclusively ended by dating an example of figurative cave or portable art to the Neanderthal era and associating it unambiguously with Neanderthal remains. We can be certain that Neanderthals were not the dimwits of popular imagination, but just how closely their behavioural patterns resembled the modern condition is still far from clear. Hoffmann, D. et al., 2018. U-Th dating of carbonate crusts reveals Neandertal origin of Iberian cave art. Science 359, pp. 912-915. Comment on Villa & Roebroeks (2014) ‘An Archaeological Analysis of the Modern Human Superiority Complex’. A paper by Paola Villa and Wil Roebroeks ( 1) in the open access journal PLOS ONE has reviewed archaeological evidence for the view that the ‘inferiority’ of Neanderthals to modern humans was responsible for their demise. See this post for a quick summary. Villa and Roebroeks are critical of view that comparisons between the archaeological records of the African Middle Stone Age and European Middle Palaeolithic can be used to demonstrate that Neanderthals were ‘inferior’ to modern humans in terms of a wide range of cognitive and technological abilities, and have made a very good case. However, they seem to be dismissive of the impact of what they describe as ‘subtle biological differences’ between Neanderthals and modern humans, which they state ‘tend to be overinterpreted’. They cite Pearce, Stringer and Dunbar (2013) as an example. Pearce, Stringer and Dunbar used eye socket size as a proxy for the size of the eye itself and showed that Neanderthals had larger eyes than modern humans. This is not an unexpected result; living at high latitudes, Neanderthals experienced lower light levels than people living in the tropics, and larger eyes might have been an evolutionary response. The consequence is that in comparison to a modern human brain, a greater proportion of the Neanderthal brain might have needed to be dedicated to the visual cortex, with the trade-off that less was available for other cognitive functions. Pearce, Stringer and Dunbar suggested that Neanderthals were less able than modern humans to maintain the complex social networks required to manage long-distance trade networks effectively, and learn about the existence of distant foraging areas unaffected by local shortages. Furthermore, their ability to develop and pass on innovations might have been limited in comparison to modern humans ( 2). On a less subtle level, it is only to be expected that the neural organisation of the Neanderthal brain would have differed from that of modern humans. The globular brain case of Homo sapiens differs from the long, low braincase that characterised archaic human species, including Neanderthals, and the change reflects a change in the actual proportions of the brain. In comparison to archaic humans, the parietal lobes of modern humans are expanded, and these are associated with the processing of speech-related sounds ( 3, 4). It is possible that their development played a role in the development of syntactic language in Homo sapiens and that Neanderthals used different and partially non-verbal forms of communication ( 5). While Villa and Roebroeks have demonstrated the risks of over-reliance on archaeological evidence, the biological differences between Neanderthals and modern humans are real. These differences must be included within a holistic approach to understanding the cognitive abilities of the Neanderthals, who as we now know are far from extinct in that they live on in the genome of modern populations. 1. Villa, P. & Roebroeks, W., Neandertal Demise: An Archaeological Analysis of the Modern Human Superiority Complex. PLoS One 9 (4), e96424 (2014). 2. Pearce, E., Stringer, C. & Dunbar, R., New insights into differences in brain organization between Neanderthals and anatomically modern humans. Proceedings of the Royal Society B 280 (1758) (2013). 3. Wynn, T. & Coolidge, F., in Rethinking the human revolution, edited by Mellars, P., Boyle, K., Bar-Yosef, O. & Stringer, C. (McDonald Institute, Cambridge, 2007), pp. 79-90. 4. 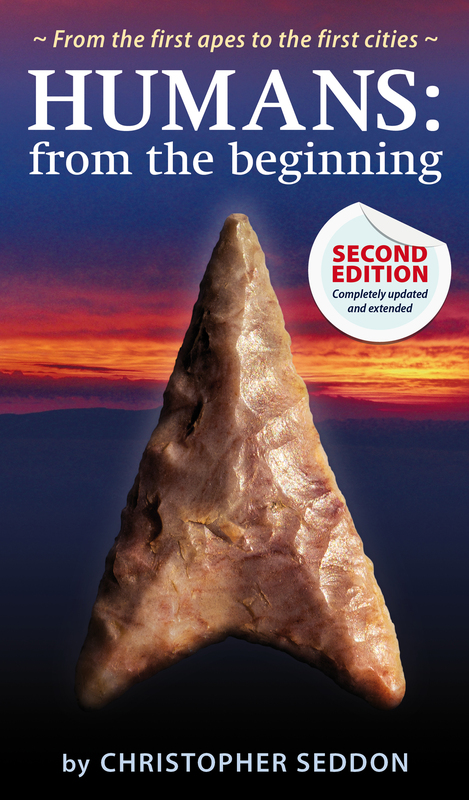 Coolidge, F. & Wynn, T., The Rise of Homo sapiens (Wiley-Blackwell, Hoboken, NJ, 2009). 5. Mithen, S., The Singing Neanderthal (Weidenfeld & Nicholson, London, 2005). Author prehistorianPosted on May 5, 2014 January 7, 2018 Tags cognitive research, modern human behaviourLeave a comment on Comment on Villa & Roebroeks (2014) ‘An Archaeological Analysis of the Modern Human Superiority Complex’.